To register, please visit the Chippewa Nature Center’s website. Download a flyer about the workshop here. Registration is $135 and includes all presentation handouts, worksheets and business templates, and lunch. Save the date for a Friday evening and all day Saturday educator workshop in Vermont! 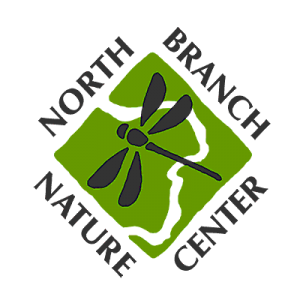 This event is hosted by North Branch Nature Center. More details will be coming soon! Barbara Beatty — "Early Kindergarten Pioneers in Boston"
Julie Bennett — "Froebel Gift Play Techniques"
Norman Brosterman — "Kindergarten: The Lost World"
Alicia Carroll — "Early Childhood STEM"
Tiffeni Goesel — "Connecting the Froebel Gifts"
Kristina Lamour Sansone — "Rhoda Kellogg’s Child As Designer"
Peg Oliveira | Gesell Institute — "Assessing Child Development"
Cathy Topal / Lella Gandini — "Beautiful Stuff from Nature"
Helge Wasmuth — "How Kindergarten Came to America"
Click here more information about the event and to register. The workshop itself will be a mix of presentations and time to workshop and problem-solve in small groups. We will also visit Chippewa Nature Center’s Nature Preschool. All of these activities are designed to ensure you leave the workshop having made substantial progress on your business plan. Yes, you’ll leave with more work to do, but our goal is for you to leave with a clear road map of next steps to quickly and efficiently make your preschool a reality. Early bird registration (prior to January 31) is $395; Regular registration is $485. Registration will be limited to 15 participants to provide tailored support. Handouts, snacks, and lunch will be provided. To register, click here.